Trade show lead capture starts with your booth staffers gathering info with paper, an app, or even an interactive trade show game. And chances are very high that your booth staffers will be all or mostly your sales reps. 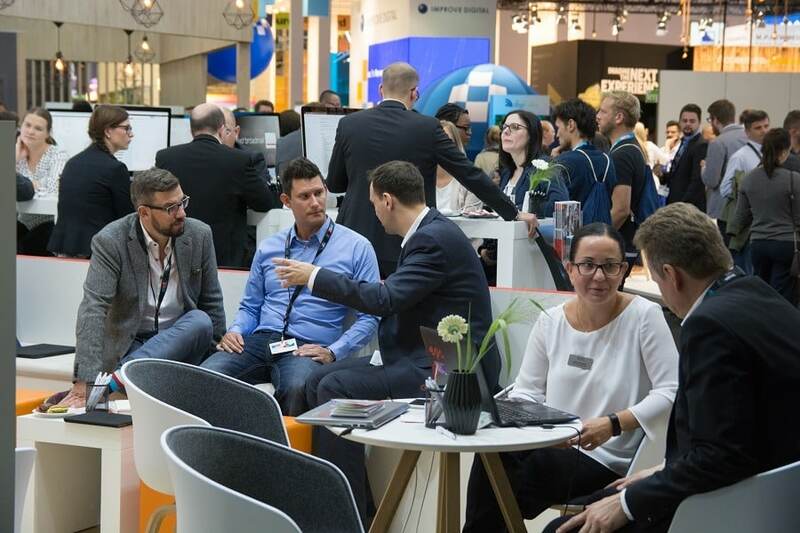 So, to help you improve your trade show lead capture results, here are 5 tips on how to get the most from your sales reps staffing your booth. It’s only natural that some sales people love staffing trade show booths, while others dread it. The single best way to improve your trade show lead capture is to avoid staffing your booth with sales people who look at trade shows as an unwelcome chore. They feel that working the booth prevents them from closing deals. Instead, staff your booth with willing reps who see trade shows as an opportunity to talk face-to-face to many more prospects in a few days then they ever could while sitting in their office. To weed out the naysayers, you can simply ask them what they think about trade shows. You can also track how many leads they take compared to other booth staffers. Or just watch where their attention is when they booth staff – is it on the attendees in the aisle, or the smartphone in their hand? When your sales reps have a good prospect interaction in the field, it can last for an hour or more. But at a trade show, that would usually mean letting dozens of other potential leads walk by. Help your sales reps shift their mindset towards booth staffing by sharing your company’s trade show goals (number of leads overall) and how that breaks down to them as a staffer. Do the math with them, so they see how many leads per hour you expect. It also helps get their attention if you let them know how much your company has invested in your trade show participation. Your trade show lead capture system changes from show to show, so ensure your sales reps know how to use them. Are you writing on paper lead cards? Using the show’s rental lead capture app? Using a trade show game like ours? Demonstrate to them how to use whatever lead management system you have, then ask them to use it themselves to ensure they know how. Even if they’ve staffed before, because every show may have a different app. Your trade show lead capture will only actually be simple list building, if your booth staffers don’t qualify leads. It’s that simple – unqualified leads are likely to be ignored. And that’s strange, because you would think sales reps would qualify leads, because they are the ones who receive them! So, be sure to encourage them to record the quality of each lead (is it an A, B, or C lead? ), to capture what interested the booth visitor during their discussion, what their main problems are, and what the booth staffer promised for follow up. Then check their leads as the show progresses, and circle back to them if they are not including lead quality as part of their trade show lead capture process. There are unique problems to trade show lead capture when your booth staffers are sales reps, rather than people from marketing, engineering, or customer service. We already talked about keeping conversations shorter than they would during a sales call. Another issue is territories – will your sales people even try when talking to a prospect from outside their sales territory? Appealing to their competitive nature with a contest for the highest number of qualified sales lead gathered can overcome this. Another issue is when you are at a regional trade show staffed only by the local sales rep who feels no motivation for sending you back the leads they gathered. You can overcome this with our Digital Fishbowl game that sends all leads from game plays up to the cloud, so you get the leads regardless if the sales reps send them back. This also works great if the show doesn’t offer a badge scanner. Your sales reps can be the best and biggest part of your trade show booth staffing team. Select willing sales reps for staffers, adapt their mindset to trade shows, train them to use your system to qualify leads, and be mindful of the particular issues sales reps have when staffing trade shows. Do all this, and your trade show lead capture will flourish with a steady flow of high-quality leads that fill your sales pipeline and grow your company revenue. If you’d like to see more about how you can drive more booth traffic and improve trade show lead capture with our fun interactive trade show games, feel free to contact us with questions or to discuss your event with one of SocialPoint’s Digital Strategists. We’ll help you generate a serious increase in excitement, crowds, and leads.